Meet a scientist and think like one: How do we collect data on the oceans? Think like a fish: Use data to model changes in fish populations. You can use this reading and observation worksheet to follow along. Read A Story From The Docks Of New England: What’s Changing? In coastal towns all across the Atlantic coast, fishing is a part of the workweek. The commute is a jam of ships and skiffs instead of cars and trucks. Water replaces the highway, and day-to-day work attire is more a mix of boots and rubber pants than suits and ties. These communities, the oceans, and the life that lives there, are as familiar as any office—with the same key species seen each season and a day-to-day (or month-to-month) routine that can usually be relied upon. Or at least, that’s the way it used to be. 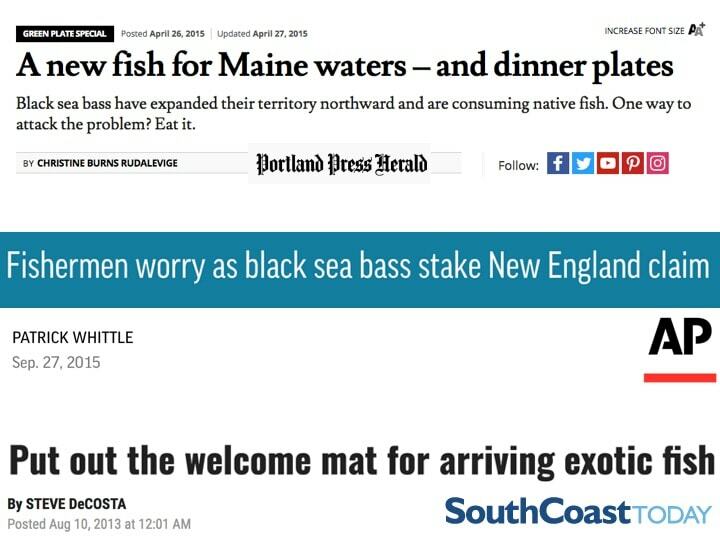 Over the last few years, fishermen in the Gulf of Maine started noticing some newcomers to their office space: black sea bass. And it wasn’t just one or two in the area; suddenly many of their lobster traps were filled with a LOT of black sea bass. For fishermen, the arrival of the black sea bass was a bit concerning. Black sea bass are predators of many critters in the ocean, including the hugely important and iconic American lobster off of northern New England. 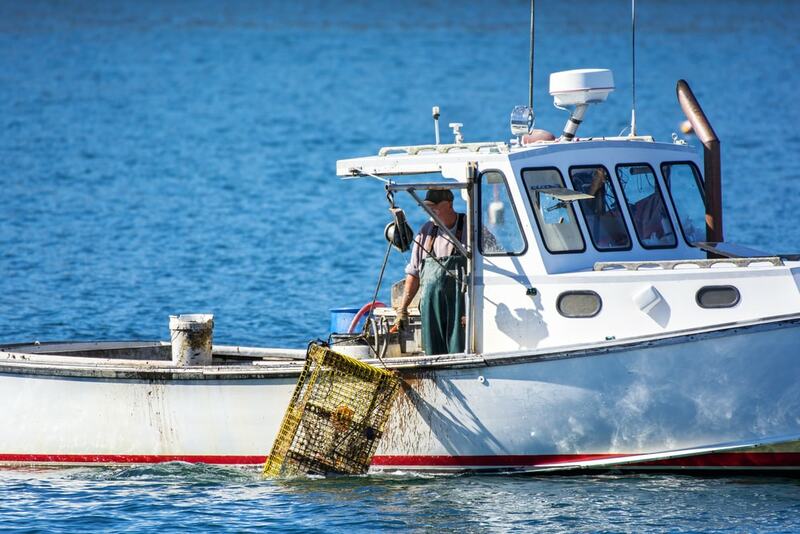 Customers love lobster, and it has been an important source of income for fishermen throughout New England. Could the arrival of these black sea bass mean trouble for lobsters and other important marine critters? 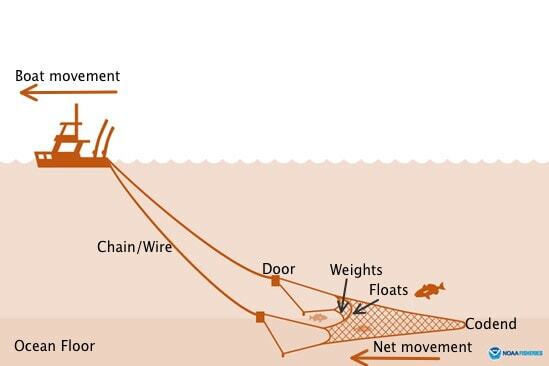 A single random fish in a lobster trap or fishing net isn’t that surprising. Fish are living animals that can easily move around (or get lost in) a massive ocean. In fact, fluctuations, in the number of fish and where they are found, are fairly normal from year to year. But what fishermen were seeing was much more dramatic. Historically, black sea bass were found off the coast of North Carolina and Delaware and rarely north of Long Island. But all of that has changed in recent years. Here’s a chart showing the average weight (kg) of all black sea bass caught by NOAA’s National Marine Fisheries Service (NMFS) research vessels north of Long Island each time they pulled in their nets (called a “tow”). Scientists use average weight per tow to measure how much fish there is in an area. Average mass of black sea bass captured per tow north of Long Island. Figure by Becca Selden, unpublished data from NEFSC Trawl Surveys. 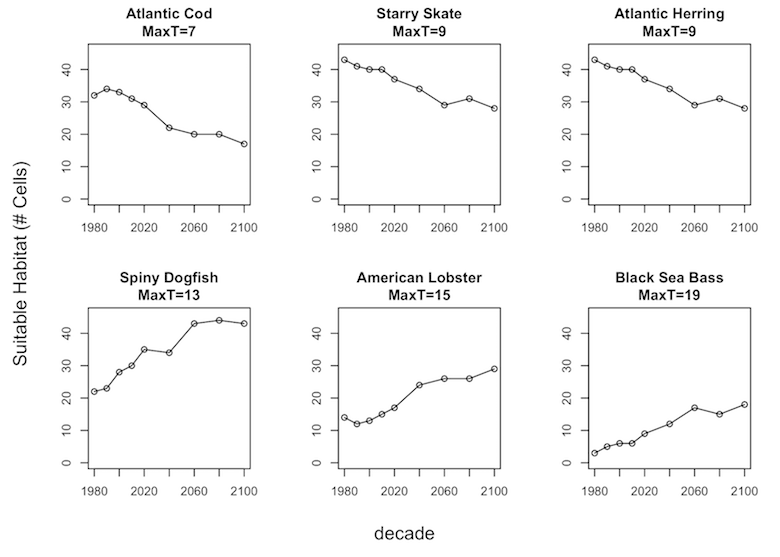 Overall, how has the amount of black sea bass caught by scientists north of Long Island changed over time? Are more black sea bass caught in the 1960s and ‘70s or in the 2000s? Does the data support the claims by fishermen in Maine that they were catching more black sea bass than normal in 2015? 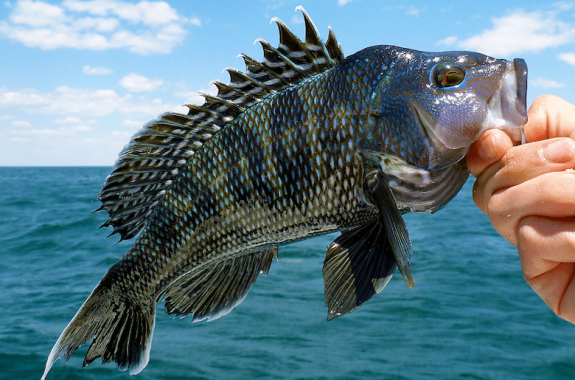 Why are fishermen concerned about the arrival of the black sea bass? How could the arrival of many black sea bass affect their income? These averages show us changes in the amount of black sea bass caught, but they don’t show where they are being caught. Are whole populations of sea bass moving, or is this just a small shift in sea bass from one area? Here’s an animated map showing the amount of black sea bass over time—red indicates places where there are many black sea bass being captured, and blue indicates places where there are less. Look at the map above and watch it scroll through years 1969 to 2015. 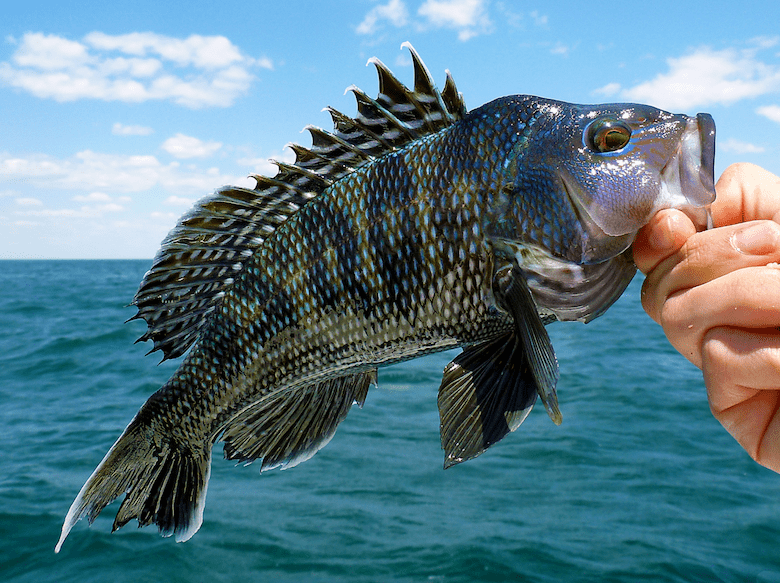 Off of which cities/towns are most black sea bass found in the 1960s and 1970s? What about in the 2000s and 2010s? Look at the part of the coastline nearest to Providence and Hartford. When do black sea bass first arrive there? When are they the most abundant there? The animated map above shows that it’s not just the amount of the black sea bass population north of Long Island that is changing, it’s also the distribution of the population along the whole coast. Distribution describes the places where a species lives and reproduces. When a population changes its distribution, it usually takes multiple generations (in this case, the change took place over about 30 years, which is about 1.5 generations of black sea bass!). This type of change is different from migrations, where a population usually divides their time between two places, or displacements, which occur when a few individuals get lost or misplaced but can’t survive or reproduce. Why do you think whole populations of black sea bass might move to a new area? Could humans have something to do with it? How? Why did these black sea bass arrive in the North Atlantic, and why won’t they leave? Could they be trouble for other species of fish in the area, or for the fishing community as a whole? Questions such as these are at the forefront of Dr. Becca Selden’s mind. Selden is an ecologist—a type of scientist who studies the interactions of organisms and their environments. Working alongside fishermen aboard ships as well as interpreting data with mapping and mathematics software, she’s working to make sense of how black sea bass populations are moving, where they’re going, as well as why and how their arrival in places like the Gulf of Maine may impact other creatures in the ocean. For Selden, getting the answers to these questions is urgent: Every month black sea bass persist in the Gulf of Maine, lobster populations are even more at risk. It’s difficult, well impossible, for a team of scientists to count every fish in a population. Instead, scientists can collect data from a sample of a population (i.e., a portion of the population). As long as their sample is large and varied enough, they can use it to estimate what is going on with that fish population in an entire area of the ocean. Thankfully, fish population sampling has been going on long before the black sea bass first started showing up in New England. Scientists from the NMFS have been catching and counting fish1 in the Northwest Atlantic Ocean every fall and spring since the 1960s. At the same time, the scientists also collect information about the environment (e.g., water temperature) so they can look for patterns among the fish and their environment. Why collect water temperature data? Water temperature is an important characteristic of a fish’s habitat. The ideal water temperatures for species of fish in the Northwest Atlantic are low, much lower than the comfort level of most humans. Warm water for fish are in the 10-25°C (50-77°F) range, whereas cold loving species like it below 10°C (a bath for a newborn baby is 36-38°C [97-100°F]!). Selden used these data to create maps of ocean temperature and the presence or absence of each fish over time. 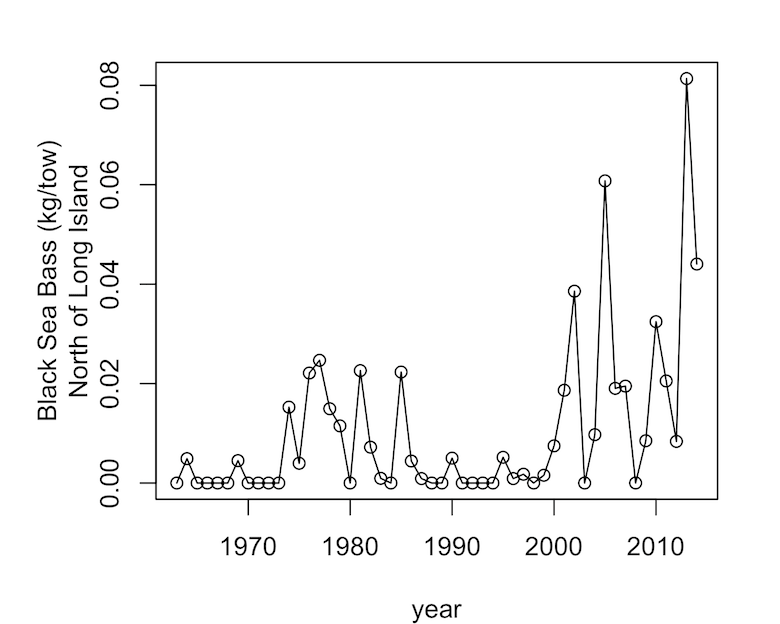 Let’s look at an example with Atlantic Cod surveyed in the spring (March-May) in the 1980s. The ocean temperature from the spring is plotted as different colors by location (scientists call each square a grid cell, which is 110 km by 110 km area of the ocean), and if fish were caught (a.k.a. the fish was present) in that location there is a black circle. Based on this map, do you see a pattern between where Atlantic Cod were caught and the temperature of the water in those places in the 1980s? 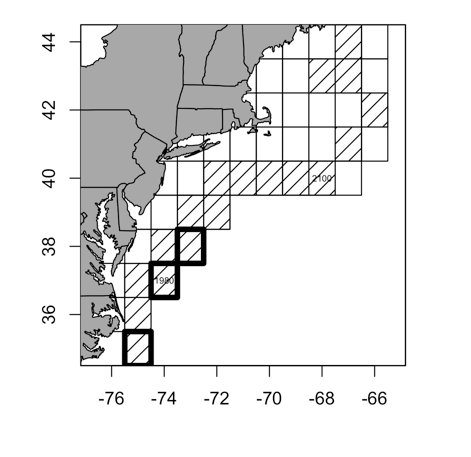 Were Atlantic Cod caught in squares on the map with the lowest possible temperature? What about in squares with the highest possible temperature? 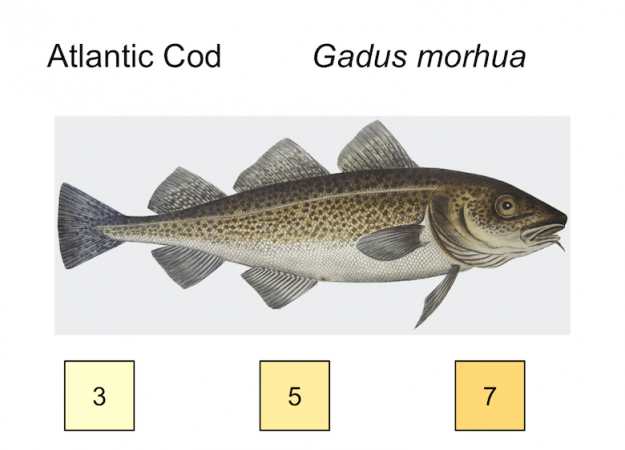 Based on this map, do you think that Atlantic Cod has a temperature of water that it prefers? How can you tell? Learn more about how scientists use the scientific survey data to identify the temperatures of water that fish seem to prefer (i.e., thermal preferences) in this fish thermal preferences slideshow. By using this same process for other fish species and observing how the maps change over time, Selden can detect how changes in ocean water temperatures may relate to the changing distribution of different species of fish, such as the black sea bass. The ocean is getting warmer. Even in the North Atlantic Ocean, where waters are usually colder than they are farther south, the water is getting warmer. 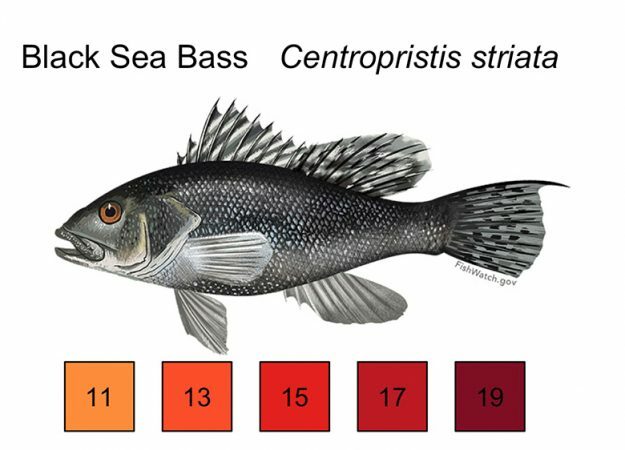 Could the change in the distribution of the black sea bass and other species be related to changes in ocean temperature? What will happen if the ocean continues to warm? 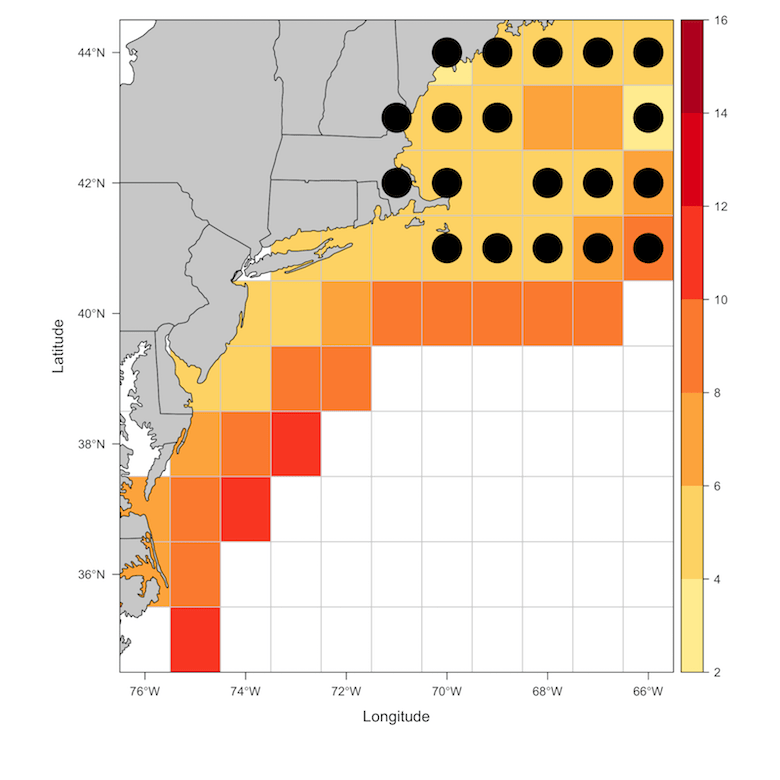 Using data on fish temperature preference and ocean temperature from the 1960s to today, you will simulate fish populations along the east coast to answer our questions. Are you ready? Let’s get started. 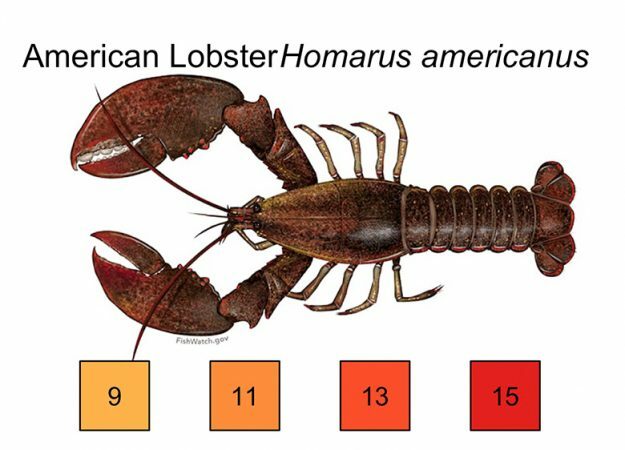 Thanks to Selden’s analyses of the NMFS data, we know that each of these species prefers a specific temperature range. You’ll use this information about temperature preferences to simulate how these fish may move in response to changing ocean temperatures over many years. The available temperatures range from 1-18°C, where 1°C is the coldest, and 18°C is the warmest. Most species prefer a narrower range of temperature. Click through the slideshow above to learn about each species and see its preferred temperature range, or download it here, you can learn more about each species here. Which species do you predict will gain and lose habitat over time? What geographic direction do you think fish species will move over time? How do you think a species’ preferred temperature range (thermal preference) affects where fish of that species move to? b. They stay in the water where they are even if that water has a temperature outside of its preferred temperature range. Ok, let’s run our model to explore data on these six species of fish over time. 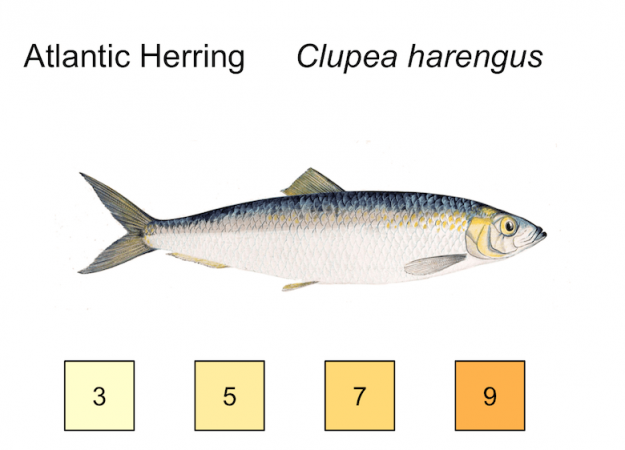 Each of you will be a certain species of fish with your particular temperature preferences. 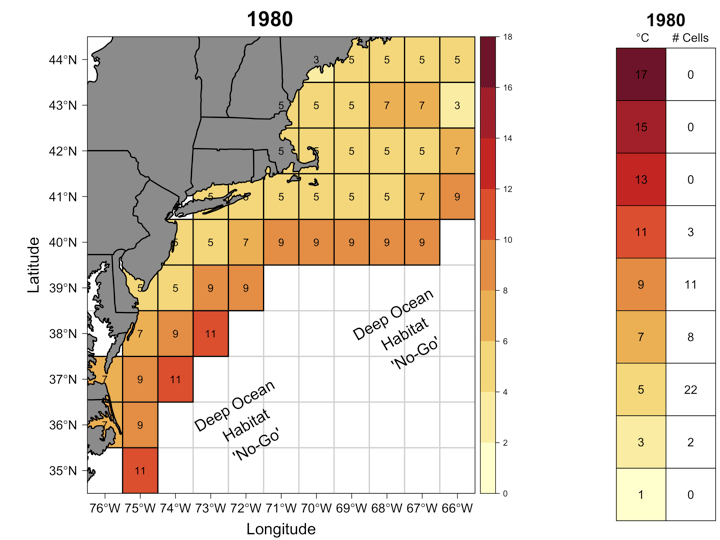 We will work with maps of ocean temperatures at different periods of time between 1980-2100. You will decide where to “live” for each time period based on the temperature data. At the end, you will have modeled your distribution over time and be able to compare where you started from where you end up! Students will need the Simulation Activity Worksheet to use during the activity and teachers can use the Fish Simulation Game Instructions & Data to facilitate the activity. Now the fun part, time to think about our data and what it means! First, let’s think about where our fish moved from and to during the simulation. Look at your data table from 1980-2100 and your map with outlined and hashed cells. How did the distribution of your individual fish change along our coast? Now, let’s look at the amount of habitat (number of cells), based on bottom temperature, that you could have chosen from during each step of the simulation. 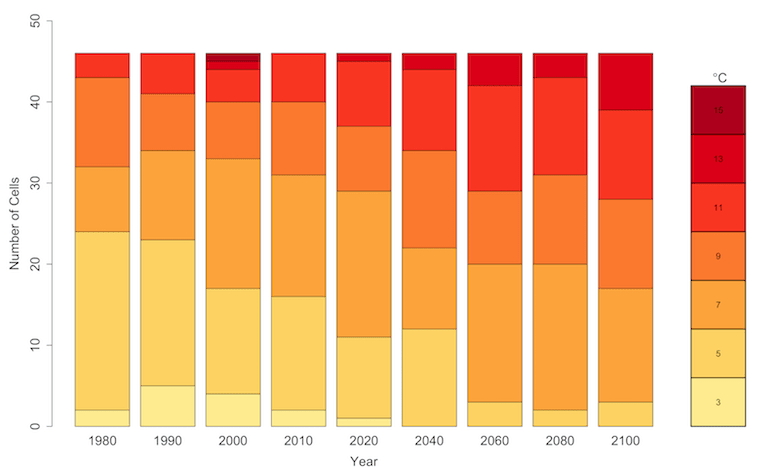 How did the availability of habitat for your species change with warming oceans? Now that we have looked at our data for each of our individual species in the simulation, let’s think about the data overall across the species. First, let’s look at how the availability of habitat (number of cells) changed for all the six fish species during the simulation. What patterns do you see across the different fish species over time? Great, now let’s look at how the amount of habitat by bottom temperature changed during the simulation. How does the amount of habitat for each temperature change over time? So, back to our original questions: Could the change in the distribution of the black sea bass and other species be related to changes in ocean temperature? What will happen if the ocean continues to warm? What is your claim from the data to answer these questions? What is your evidence of that claim? What is your reasoning of how that evidence supports your claim? 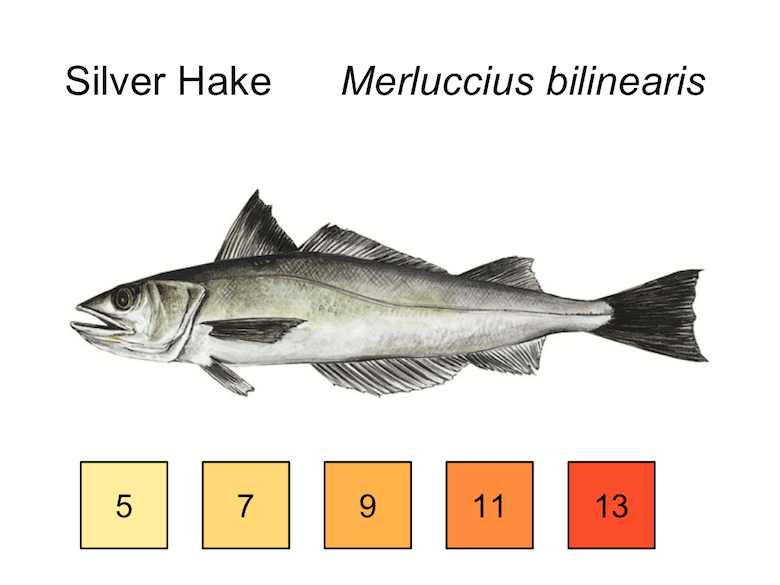 Knowing what you now know about warm- and cold-water fish species AND how ocean temperatures are predicted to change over time, make a prediction of where we may find silver hake in 2100 based on its temperature preferences. 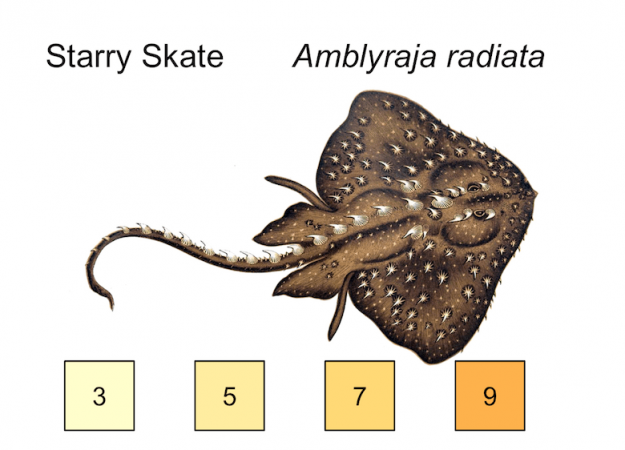 Between 1980-2010 this species lived in 5°C-13°C temperatures of water. Therefore, I predict that silver hake will have __________________________ amount of habitat in 2100 as compared to 1980-2010. Now let’s look at the computer simulation data. Like before, this simulation uses data from where silver hake were found between 1980-2000 along with predicted future ocean temperatures to predict the amount of habitat that is suitable for silver hake in the years 2010-2100. What do you notice about where the available habitat for silver hake is from the simulation? What do you notice about the amount of available habitat for silver hake from the simulation? Compare what you observed in the simulation data to what your prediction was for silver hake over this time. How does your prediction match the data? If you were running this computer simulation, what would be your next step(s) be to learn more about where we may find silver hake in 2100? c. Compare the simulation data from 2000-2020 with the actual data from those years to see how well the simulation models what we are seeing in the real world. Would fishermen of silver hake be more or less concerned than those for cod over the next 60 years? Learn more about Dr. Becca Selden and her research in this article. Listen to the SciFri interview, “Winners And Losers In Warming Northeast Waters.” How is climate change altering the amount of habitat for some species of fish? Dr. Kristin Kleisner discusses whether fisheries will be able to adapt. Dive into more data with OceanAdapt. OceanAdapt is an interactive data portal to access the scientist trawl survey data of fishes from around the United States. Search by region, species, or time frame to explore the amount of fish by latitude and depth over time. Mathematical models and computer simulations are used to look for patterns in past data and make predictions of the future. Discover how different species of fish have been shifting their distribution over time in relation to temperature, and how we predict that pattern to look forward into the future. See how scientists use data collected from fish and the environment over time to make predictions of future impacts of climate change on the ocean food web. 1. 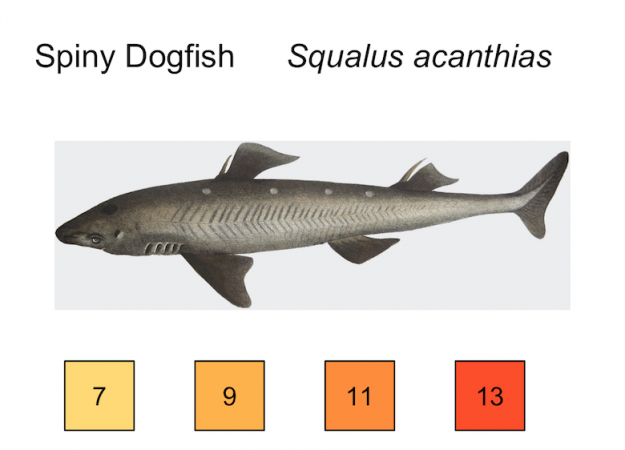 As a note, scientists use “fish” to talk about both finfish, the animals with fins to swim that we think of when we think of fish, and shellfish, invertebrates that are not true fish but are caught in fisheries. NSF OCE: Postdoctoral Research Fellowship (#OCE-1521565) funded Dr. Becca Selden’s research and broader impacts work. Rutgers University: Rutgers Department of Ecology, Evolution, and Natural Resources is Selden’s home department for this work. Rutgers Department of Human Ecology is Hunter-Thomson’s home department. Dataspire: Dataspire: inspiring data + science literacy is a program of Rutgers Cooperative Extension. We envision a world in which everyone is empowered to engage with data and science in their lives. We facilitate a range of professional development trainings and develop data resources to work towards a more data and science literate society. If you have questions about this resource or would like to share your experience using it with students, please e-mail us at educate@sciencefriday.com or tweet to @scifri. Kristin has worked in science and science education for over 15 years in various locations around the U.S. and abroad. She pulls from her middle/high school science teaching background, her experience in formal and informal education, and her training in marine science to oversee the growth and development of Dataspire. She is also a Teaching Instructor for the Science Communication minor at Rutgers University. Dr. Becca Selden is a Nereus Senior Fellow at Rutgers University examining the impact of warming on marine food webs at continental and global scales. This educational resource is based on her National Science Foundation Ocean Sciences post-doctoral fellowship at Rutgers University where she investigated the impact of climate change on predator-prey interactions. Use this interactive to explore ocean data collected by Elephant Seals as they swam through the North Pacific Ocean.